With Aman established globally as a byword for brilliant design, Musashi by Aman was conceived to bring together not only the finest sushi and sake, but also some of the very best in Japanese craftsmanship. 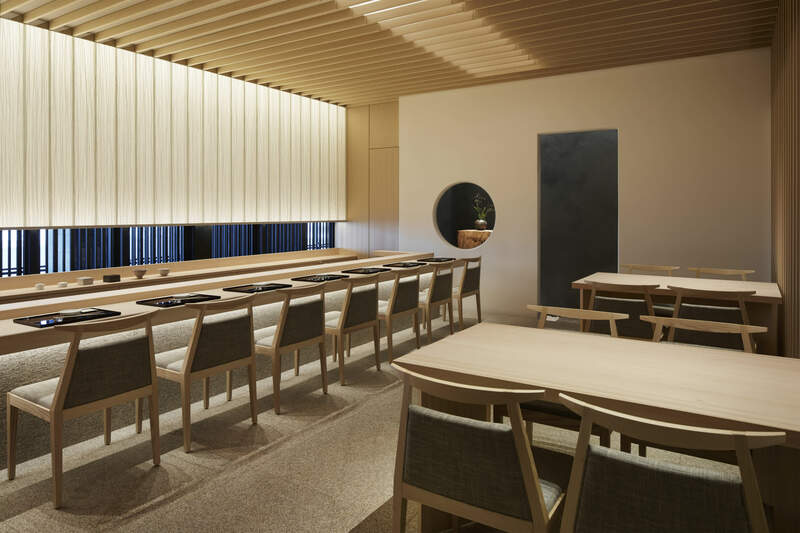 The restaurant’s interior, designed by the acclaimed Yukio Hashimoto, and features a stunning eight-seat counter fashioned from hinoki cypress. The small corridor leading to the entrance was created by preeminent stonecutter Masatoshi Izumi; and the stucco wall is by artisanal plasterer Naoki Kusumi. Sake comes served in Edo kiriko glasses – each piece bearing a spectacular pattern, hand-cut by Toru Horiguchi. The beautiful plates have been custom made by ceramicist Shigeo Tanaka, while the traditional Japanese lacquerware comes from Wajima. 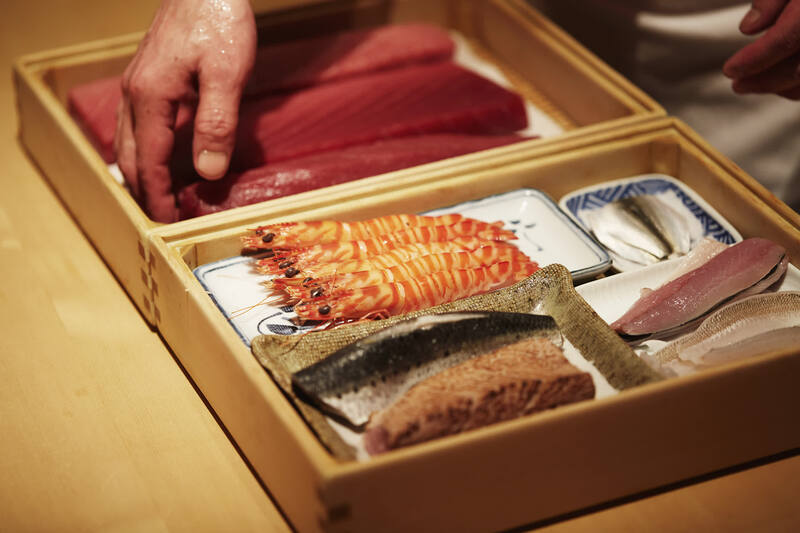 Both guests of the hotel and non-residents can expect a culinary experience that is authentic and transporting, and inspired by Tokyo Bay and the abundance of seafood it once provided the citizens of Tokyo. 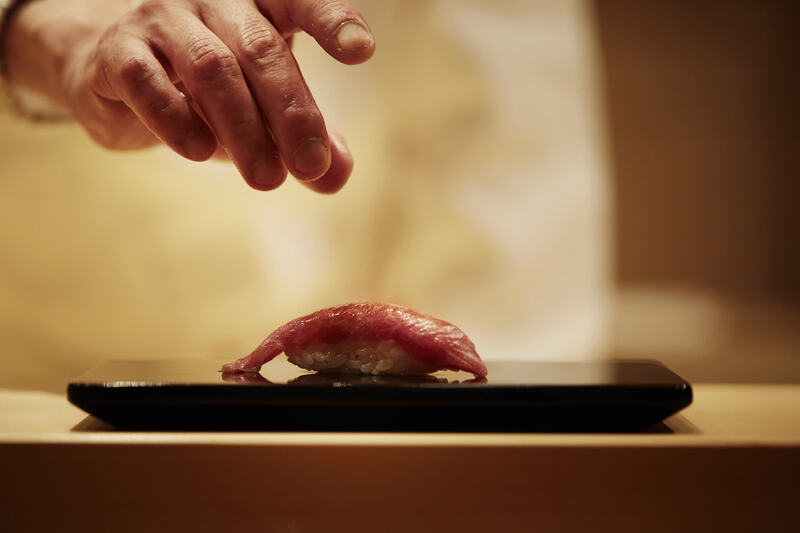 The sushi served at Musashi by Aman is of the traditional Edomae style, which has its roots in the Tokyo Bay area just a stone’s throw from the hotel (Edo is the old word for Tokyo, whereas mae refers to waterfront). In the Edo period, sushi was sold at bustling kiosks and prepared right in front of the customers – a form of supremely fresh street food. 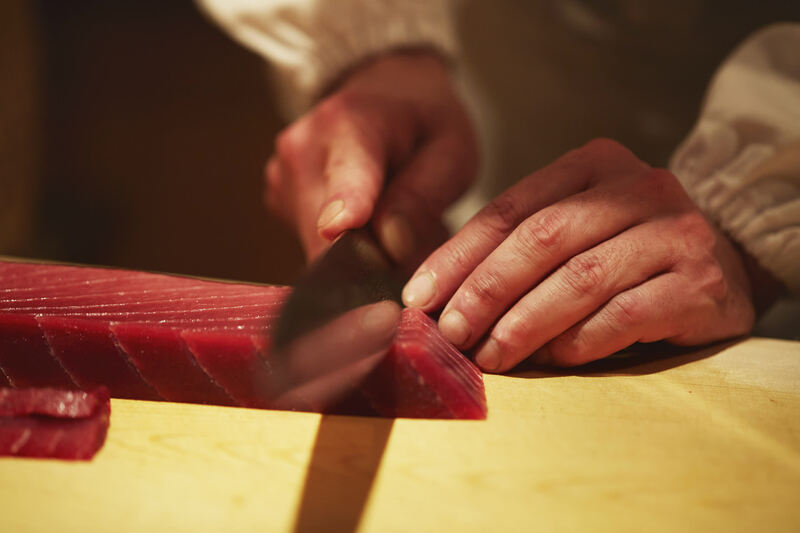 The reputations of the city’s oyakata were built on skill and trust – absolute prerequisites when dealing with Japan’s famously discerning fishermen, who to this day only sell the very best seafood to chefs they can be sure will do it justice. Reflecting the creativity of its namesake chef as well as the authenticity of Edomae sushi, Musashi uses only the finest ingredients. Every morning, Chef Musashi hand selects the freshest seasonal fish and seafood from the newly opened Toyosu Fish Market. 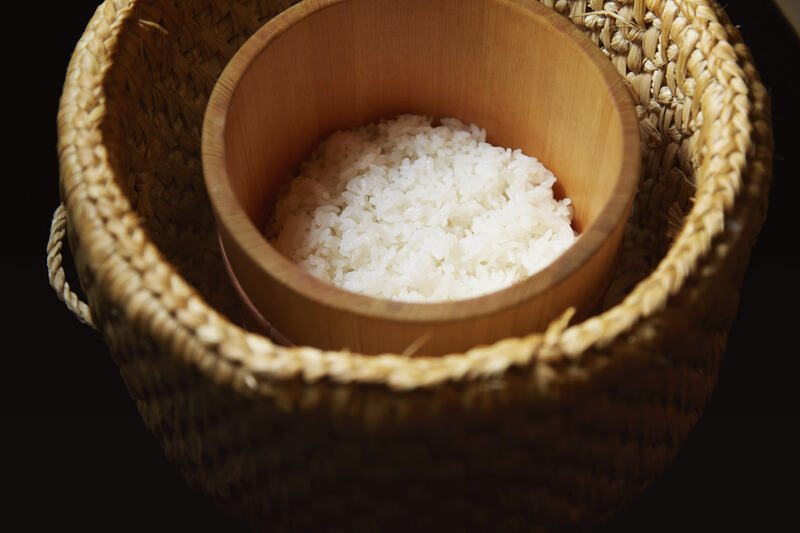 Reflecting authentic Edomae style, sushi is prepared using ‘shari’ rice soaked in white vinegar, and cooked ‘al dente’. 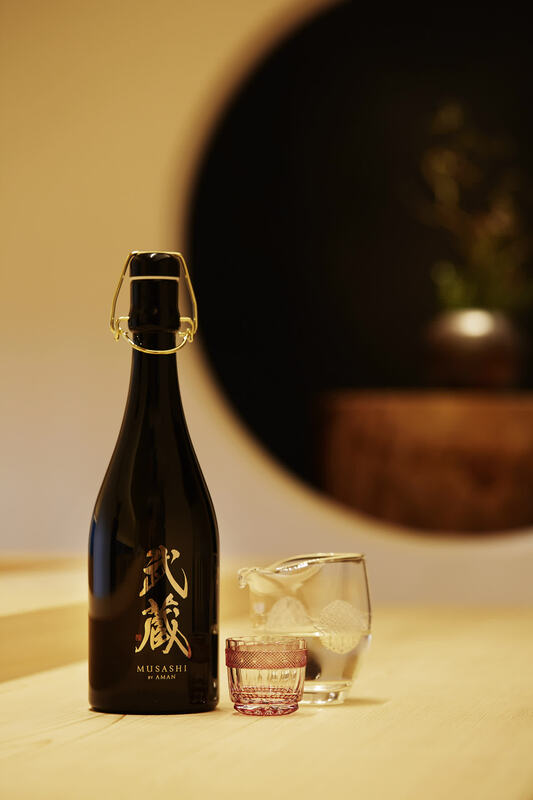 Sushi is paired with eight kinds of specially selected sakes including the exclusive Musashi Sake produced by Niizawa Brewery in Miyagi. 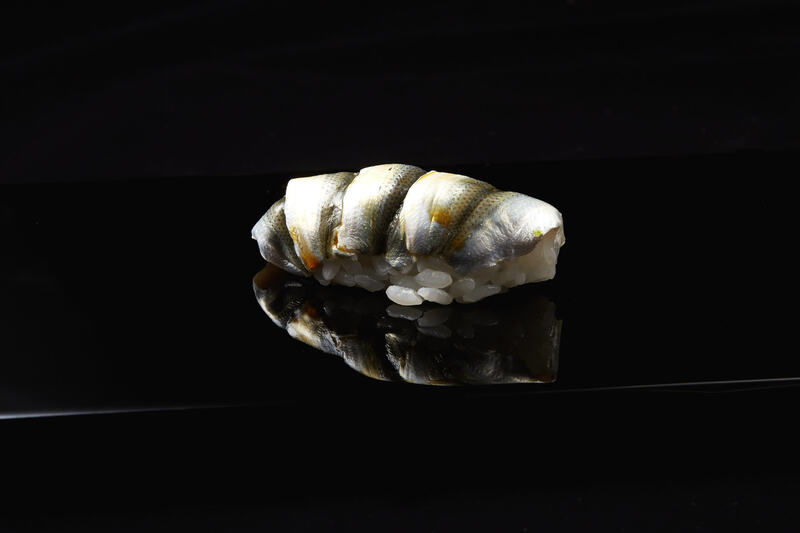 Musashi by Aman serves sushi in the Japanese tradition of Omakase. 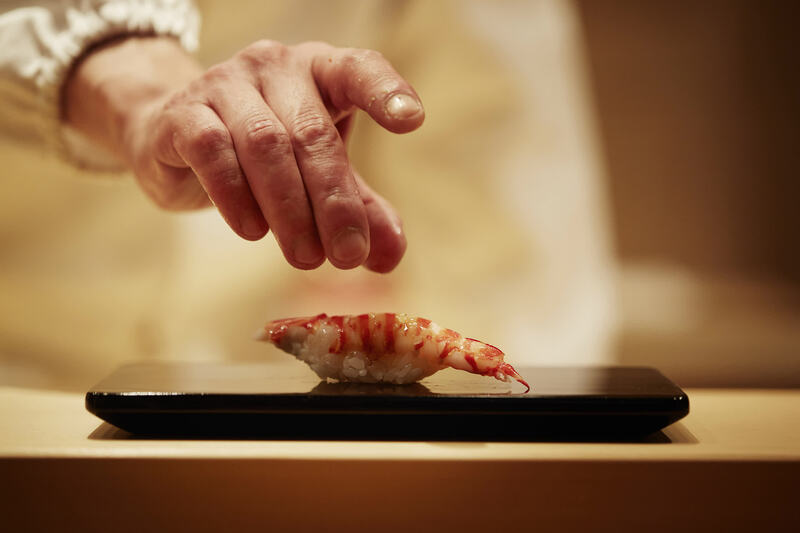 Translating to ‘I leave it to you’, Omakase gives the chef creative freedom to choose the menu for his guests. The sushi course served at Musashi by Aman comprises eight tsumami (appetisers) and 10 nigiri. 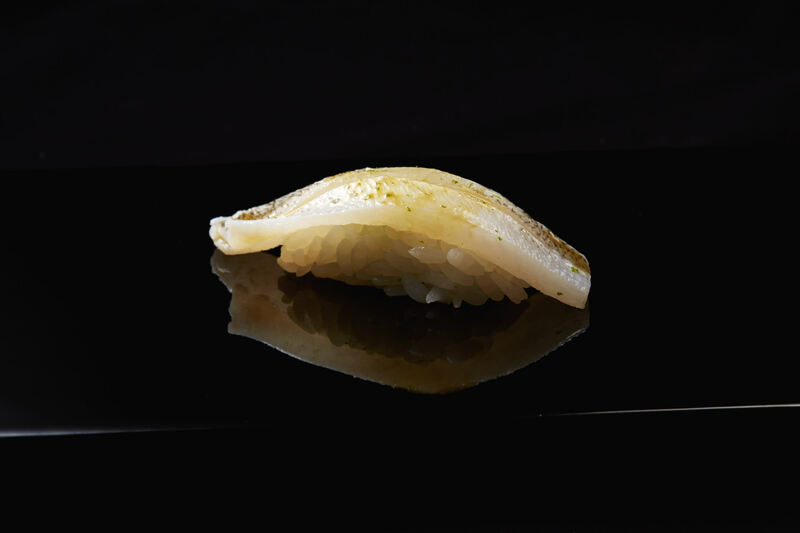 The menu is fixed, but differs each day – a traditional concept known in Japan as omakase, or “chef’s choice”. Indeed, the offering is entirely dictated by the quality of the seafood that has been caught, because chefs who work under this system refuse to work with anything but the very best of what is available. 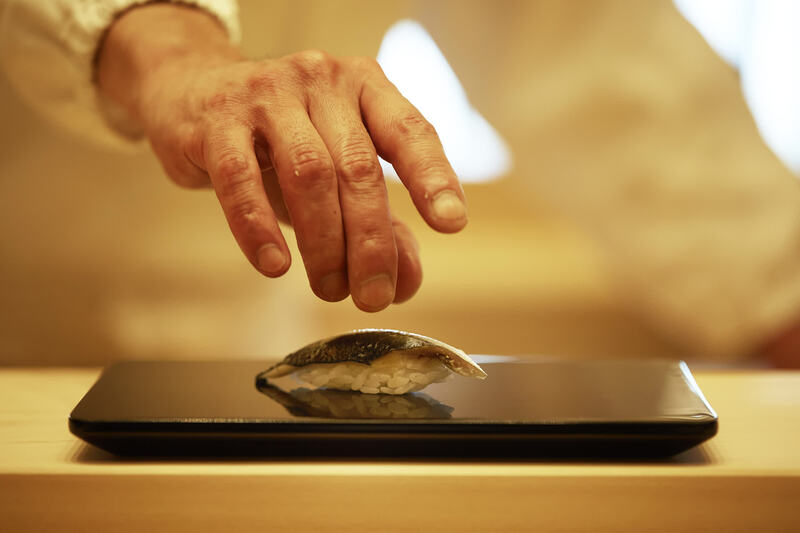 Within the world of sushi, omakase is a hallmark of quality; in other words, chefs with the skill, connections and experience to source and work with a wider array of premium seafood. 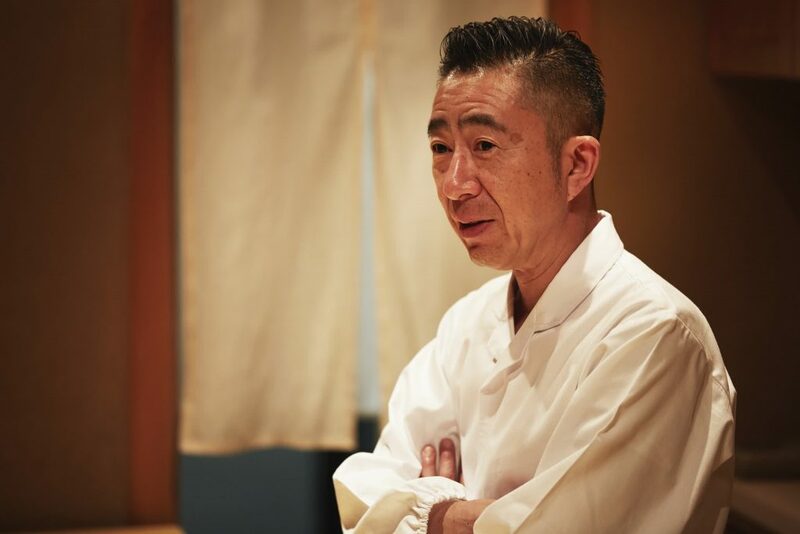 A highly respected figure in Tokyo’s culinary scene, and renowned for his expertise, dedication and innovation in the art of sushi, Chef Musashi started his career, which spans over 30 years, as a sushi chef at his father’s sushi restaurant, and opened his own restaurant – the lauded Sushi Musashi which earned Musashi a Michelin star – in Tokyo’s trendy Aoyama district in 2009. 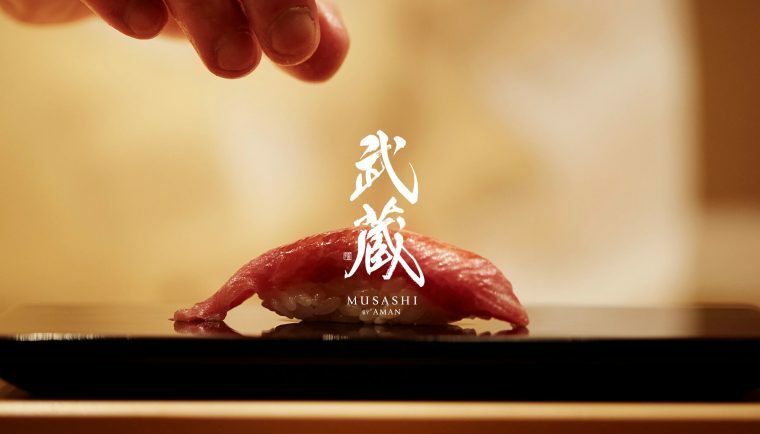 The attention to detail Chef Musashi pays to every piece he creates, is second to none, from meticulously measuring to rinsing, seasoning and steaming. 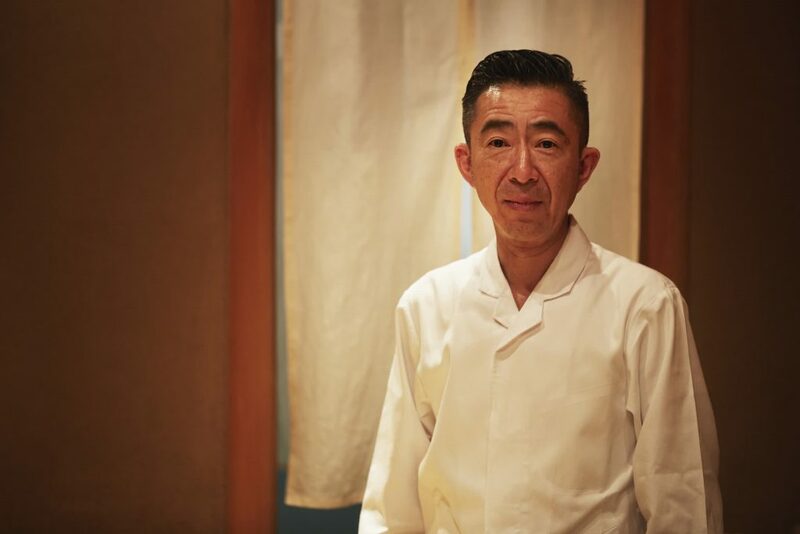 Closing his legendary establishment to join Aman Tokyo and lend his name to the new restaurant illustrates Chef Musashi’s deep affinity with Aman, as he joins Aman Tokyo seeking to elevate his craft to the next level. Musashi by Aman is open from Monday to Saturday for dinner. There are also two larger tables, seating four people each, for bigger parties. Aman Tokyo also has two private dining rooms available for intimate events. 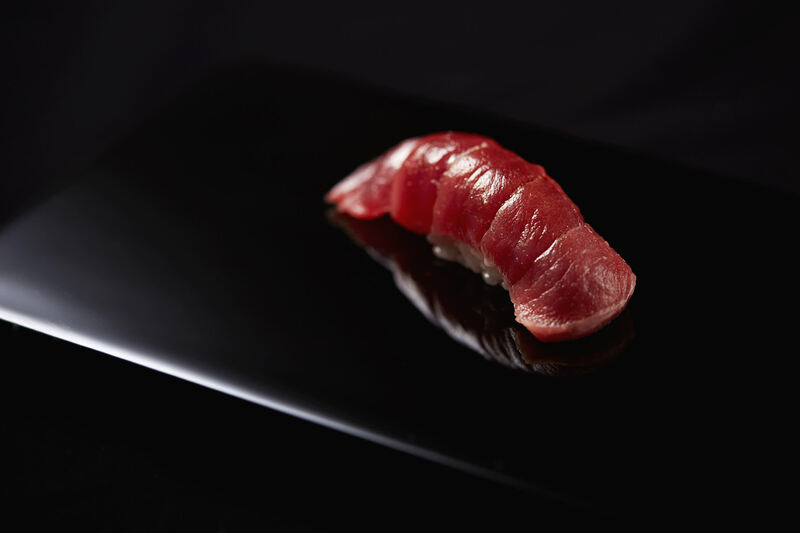 Musashi by Aman cements Aman Tokyo’s position as a must visit gastronomic destination in Tokyo for any devoted foodie. Arva, Aman’s first culinary concept incorporating a dining experience that celebrates Italy’s simple ingredients and bold flavours, and stays true to its Italian heritage while incorporating the finest local ingredients such as Sagamihara eggs and Yamanashi Nakamura Farm guinea fowl. 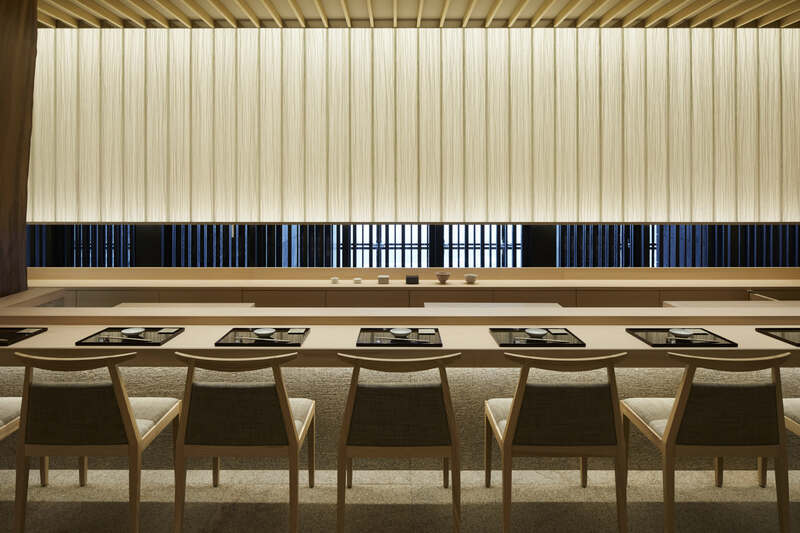 The menu is unique to Aman Tokyo, and is in keeping with the Aman philosophy of seamless integration with each destinations’ cultural and geographical setting. Meanwhile the Café by Aman, provides an intimate space whose classic French menu and natural surroundings evolve with each season. The menu serves casual French fare tucked within the Otemachi Forest – an oasis of green in the metropolis at the foot of the hotel building. A carefully selected wine offering complements the dishes, ranging from galettes and traditional bistro cuisine to seasonal plates. For a more casual dining experience, and situated in the iconic Aman Tokyo lobby, the Lounge by Aman offers all-day dining in a space that was designed to resemble the inside of a traditional shoji paper lantern. Floor-to-ceiling windows offer unbeatable views of the Tokyo skyline, high above the Imperial Palace Gardens. The Lounge by Aman also serves afternoon tea, something that has become somewhat of an institution in Tokyo. 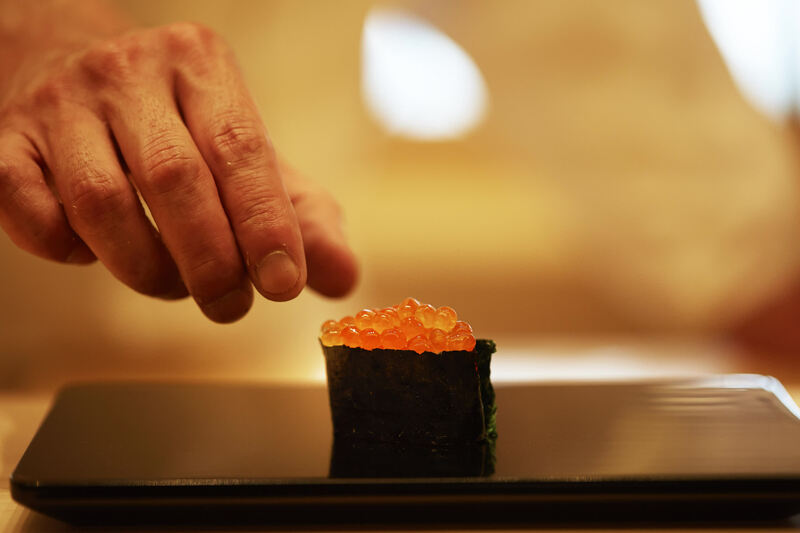 All restaurants at Aman Tokyo welcome guests and non-residents alike. As someone who loves Sushi AND has Japan on her must visit list, your post has just whetted my appetite to plan a trip soon. Thanks for sharing this detailed post. It is evident from your post and the pictures that extreme care is taken to make this culinary experience memorable for the guests. Loved the attention to detail. This is the must visit place for sushi lovers.. Its sounds great that sushi is paired with specially selected sakes and wines.. Nice experience.. I am surprised by seeing how beautifully they are preparing the dish with so much care and love to serve their customer. It’s truly beautiful.. The way the Japanese function is commendable. Even your post shows how beautiful and meticulously the prepare dthw food. Aman Japan looks is a great place for sushi lovers. Musashi by Aman looks a great place to fulfill your culinary desires. Personally, I have been always been ecstatic about trying various Sushi and this calls a must try for me. They do not make sushi but make it with love,like a masterpiece. how carefully they select fresh ingredient. I am just got fan by seeing the way of preparation. The pictures look wow, seem to be a fab place for all the sushi lovers. Every click is so graceful. Loved the special attention to details. Thanks for sharing this detailed post with us. The way you described the place is amazing… Everything from the surroundings to decor to sake to fresh fishes to the traditional “chef’s choice” menu… Loved reading the post! Heaven for sushi lovers! This looks like a great place for sushi lovers, I don’t enjoy sushi as such but those who do will surely enjoy this place. I loved how they showed every step. Proves that they use fresh ingredients. Musashi by Aman looks a great place. I am not that fond of Sushi but this place looks amazing for amazing food. It’s top class I must say! Your reviews always transport me to a culinary heaven and this place seems to be one such too. Recommending it to my friends. Thanks for sharing! They sure sound like food artists, who just live by the art of making a particular masterpiece that the restaurant visitor consumes, thank you for sharing this beautiful bit, will definitely bookmark this right away, I also loved the way you have written this amazing blog.